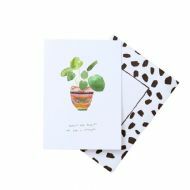 ‘Blank Inside’ illustrated cards and gift wrap are created, painted and drawn by Liz Temperley. Taking the time to hand draw every illustration, Liz aims to make people smile and takes inspiration from the natural world and the random musings of everyday life. 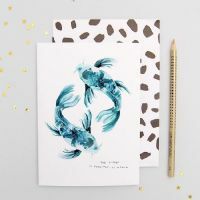 Her unique, colourful and whimsical cards are printed on eco friendly paper stocks and stocked in beautiful stores such as Anthropologie, Liberty, Selfridges, Harrods and of course, in klöver!